For my yoke is easy, and my burden is light (Matthew 11:28-30). Each one of us has burdens that seem heavy to bear. Burdens of sin, sorrow, disappointment, financial problems—or even taxes. 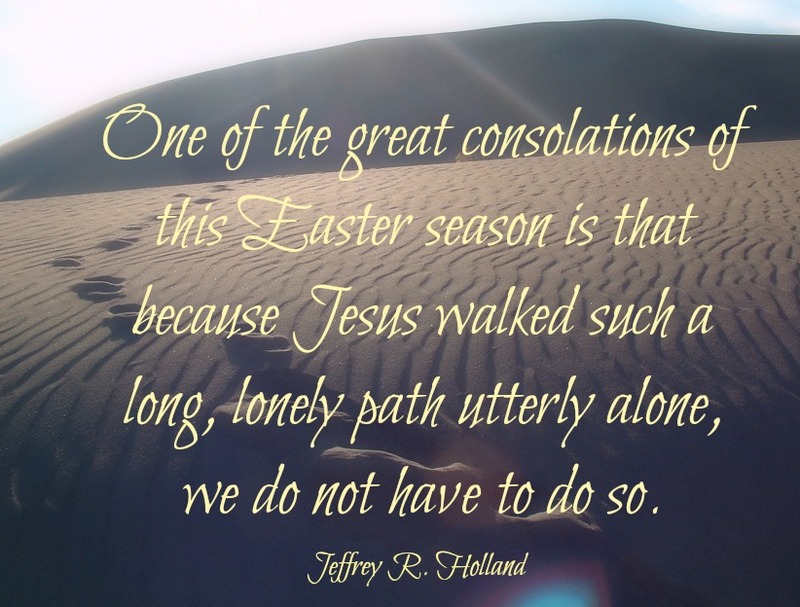 And while the Savior won’t always eliminate the problems that we face in this world, He does offer us the peace that comes from following Him. The question is, then, how do we find Easter peace amid our April taxes—whatever that taxing burden may be? The answer is simple: By coming to truly know Jesus Christ. 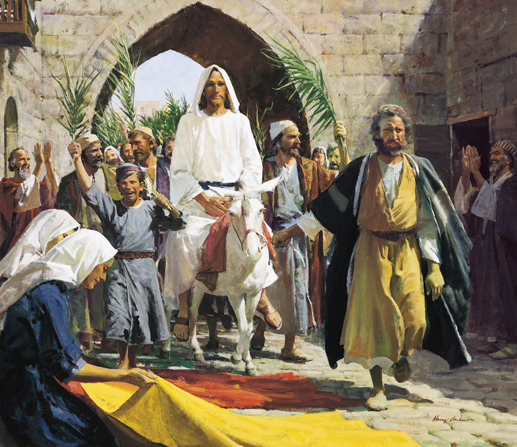 … We refer to His mission as the Atonement of Jesus Christ, which made resurrection a reality for all and made eternal life possible for those who repent of their sins and receive and keep essential ordinances and covenants. It is doctrinally incomplete to speak of the Lord’s atoning sacrifice by shortcut phrases, such as “the Atonement” or “the enabling power of the Atonement” … or “being strengthened by the Atonement.” These expressions present a real risk of misdirecting faith by treating the event as if it had living existence and capabilities independent of our Heavenly Father and His Son, Jesus Christ. Under the Father’s great eternal plan, it is the Savior who suffered. It is the Savior who broke the bands of death. It is the Savior who paid the price for our sins and transgressions and blots them out on condition of our repentance. It is the Savior who delivers us from physical and spiritual death. There is no amorphous entity called “the Atonement” upon which we may call for succor, healing, forgiveness, or power. Jesus Christ is the source. 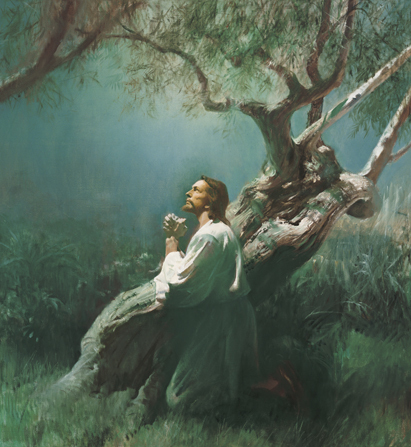 Sacred terms such as Atonement and Resurrection describe what the Savior did, according to the Father’s plan, so that we may live with hope in this life and gain eternal life in the world to come. The Savior’s atoning sacrifice—the central act of all human history—is best understood and appreciated when we expressly and clearly connect it to Him. So the question is, who is He? Under the direction of His Father, He created this world and many others. He came to this earth as the Son of God, the Eternal Father, and the mortal virgin Mary. He lived a sinless life. Born of a mortal mother and an immortal Father, He was the only one who could voluntarily lay down His life and take it up again (see John 10:14–18). With His sinless life, Jesus Christ set the example for us to follow. Through His Atonement, which included Resurrection, He provided the means whereby we can be forgiven of our sins and return to the presence of God if we are obedient to the commandments of God. The importance of His role cannot be overemphasized. He was known as Jehovah by the Old Testament prophets (see Abraham 1:16; Exodus 6:3). The prophets were shown of His coming: “Behold the Lamb of God, yea, even the Son of the Eternal Father!” (1 Nephi 11:21; see also John 1:14). His mother was told, “Call his name Jesus. … He shall be … called the Son of the Highest” (Luke 1:31–32). Many titles and names are descriptive of His divine mission and ministry. He Himself taught: “I am the light and the life of the world. I am Alpha and Omega, the beginning and the end” (3 Nephi 9:18). “I am … your advocate with the Father” (Doctrine & Covenants 29:5; see also D&C 110:14). “I am the good shepherd” (John 10:11). “I am Messiah, the King of Zion, the Rock of Heaven” (Moses 7:53). “I am the bread of life: he that cometh to me shall never hunger [or] thirst” (John 6:35). “I am the true vine, and my Father is the husbandman” (John 15:1). “I am the resurrection, and the life” (John 11:25). “I am … the bright and morning star” (Revelation 22:16), “Jesus Christ, your Redeemer, the Great I Am” (Doctrine & Covenants 29:1). He is the Mediator (see 1 Timothy 2:5), the Savior (see Luke 2:11), the Redeemer (see Doctrine & Covenants 18:47), the Head of the Church (see Ephesians 5:23), its Chief Cornerstone (see Ephesians 2:20). At the last day, “God shall judge … men by Jesus Christ according to [the] gospel” (Romans 2:16; see also Mormon 3:20). Before the Crucifixion and afterward, many men have willingly given their lives in selfless acts of heroism. But none faced what Christ endured. Upon Him was the burden of all human transgression, all human guilt. And hanging in the balance was the Atonement. Through His willing act, mercy and justice could be reconciled, eternal law sustained, and that mediation achieved without which mortal man could not be redeemed. 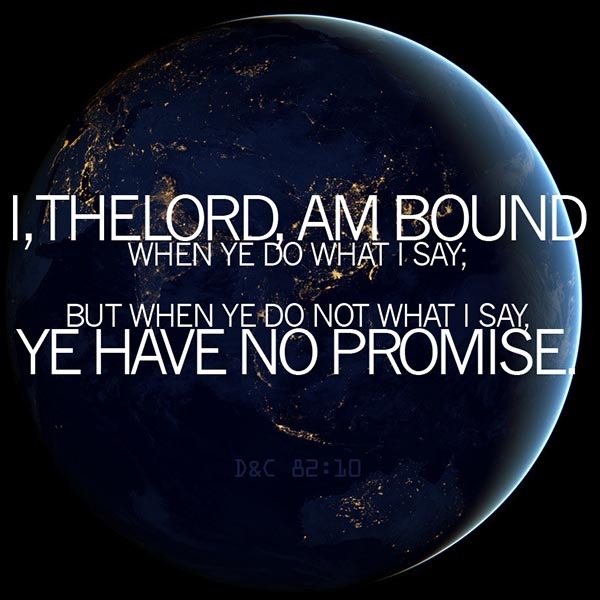 He by choice accepted the penalty in behalf of all mankind for the sum total of all wickedness and depravity; for brutality, immorality, perversion, and corruption; for addiction; for the killings and torture and terror—for all of it that ever had been or all that ever would be enacted upon this earth. In so choosing He faced the awesome power of the evil one, who was not confined to flesh nor subject to mortal pain. That was Gethsemane! … He had power over death because He was divine but … He willingly subjected Himself to death for our sake because for a period of time He was also mortal. … In His willing submission to death He took upon Himself the sins of the world, paying an infinite price for every sorrow and sickness, every heartache and unhappiness from Adam to the end of the world. In doing so He conquered both the grave physically and hell spiritually and set the human family free. Beginning in the spiritual anguish of the Garden of Gethsemane, moving to the Crucifixion on a cross at Calvary, and concluding on a beautiful Sunday morning inside a donated tomb, a sinless, pure, and holy man, the very Son of God Himself, did what no other deceased person had ever done nor ever could do. Under His own power, He rose from death, never to have His body separated from His spirit again. Of His own volition, He shed the burial linen with which He had been bound, carefully putting the burial napkin that had been placed over His face “in a place by itself,” the scripture says. How the Atonement was wrought we do not know. No mortal watched as evil turned away and hid in shame before the Light of that pure being. All wickedness could not quench that Light. When what was done was done, the ransom had been paid. Both death and hell forsook their claim on all who would repent. Men at last were free. Then every soul who ever lived could choose to touch that Light and be redeemed. Having satisfied the demands of justice, Christ now steps into the place of justice; or we might say He is justice, just as He is love. Likewise, besides being a “perfect, just God,” He is a perfect, merciful God. 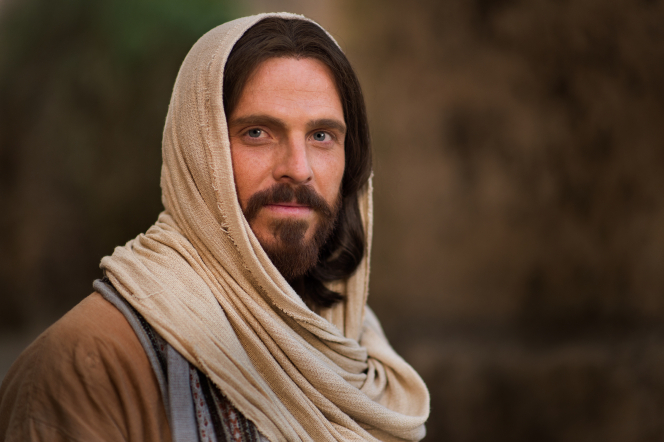 Thus, the Savior makes all things right. No injustice in mortality is permanent, even death, for He restores life again. No injury, disability, betrayal, or abuse goes uncompensated in the end because of His ultimate justice and mercy. Jesus Christ, in His infinite sacrifice, took the sting out of death. He took the senseless out of our suffering, and made it so that all things can work for our good if we will have faith in Him. And all of our physical infirmities will be taken from us when we are resurrected. And this He did not for personal gain or glory but because He loves us. 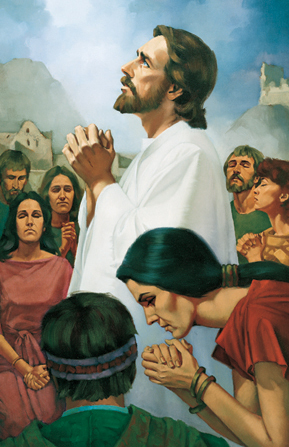 This mission was clearly evident in the compassionate intercessory prayer of Jesus. In your mind, picture Him kneeling in fervent supplication. Listen to the beautiful language of His prayer. Sense His feeling for His weighty responsibility as mediator. Jesus Christ fulfilled the ends of the law through His infinite Atonement. He is our Advocate and Mediator because of this sacrifice. Through His suffering, He took upon Himself all of our infirmities, weaknesses and sins. Through our obedience to God’s commandments, we can repent of our sins and be cleansed through the Atonement of Jesus Christ. Thus, Jesus Christ is our Advocate to help us reunite with our loving Father, not to protect us from the wrath of God. When we remember Jesus Christ and all that He did for us, we can find the Easter peace even in the midst of our April taxes.